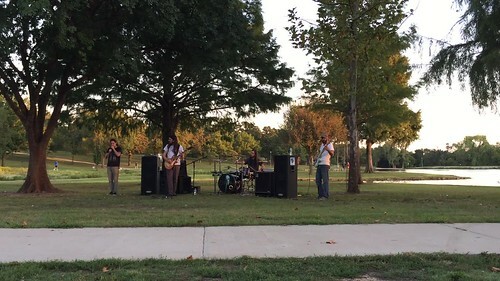 This summer our city has been hosting “Music in the Park” a couple of Sunday evenings a month. We have a music promotion company and were asked to schedule bands for these evenings. It’s been a huge success and they are planning to have these every Sunday evening next summer. Last night The Dudes played. The weather was perfect and the show was great. There’s only one more scheduled for this year and I’ll be sad to see it end.